Regardless of your skin type, new year calls for putting in place a new skincare regime and the first thing to get started with is a Cleanse, Tone and Moisturise routine. You may be thinking where does exfoliator fall in this skincare regime? Because skincare experts believe, exfoliating is not a regular necessity, it hasn’t been included in the Cleanse-Tone-Moisturise regime. However that does not mean you ignore it completely. Exfoliating is different for both oily and dry skin types and the frequency also depends on your current skin type and skin problems you’re looking to solve. Exfoliating is very similar to getting a manicure or a pedicure. All those dead skin cells are sloughed off and fresh new skin is revealed. Can you imagine how clogged and suffocated skin must feel with all that dead, useless layer of skin cells sitting on top? This can be responsible for causing white heads, black heads, blemishes, pimples and acne. Skin can also appear patchy, dull and not be able to absorb in nutrients from skincare as effectively. Using scrubs to exfoliate can only work to a minor extent. The abrasive granules in facial scrubs manage to merely buff the superficial surface of skin and make it appear smooth and polished. For deeper skin concerns such as fading pigmentation, sun spots or removing white heads and acne from their root cause, non abrasive exfoliators are the way to go. What are these? Termed as the new generation of exfoliants, they come in a gel, liquid or cream format, in a variety of skincare products such as cleansers, toners and leave on face creams. 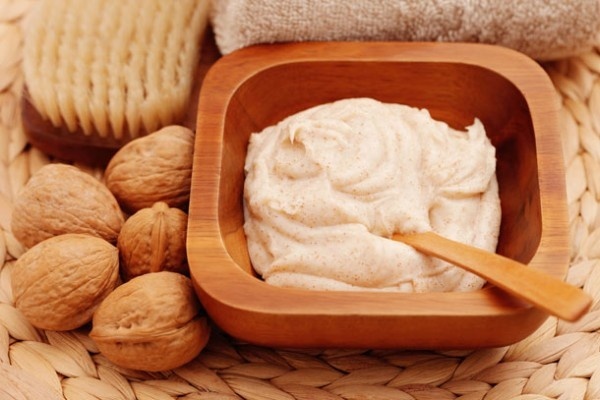 Look for exfoliators containing the ingredient AHA or BHA’s. Now this is when your specific skin type would come into action. AHA are Alpha Hydroxy Acids and BHA’s are Beta Hydroxy Acids. AHA are great for dry dehydrated skin that suffers from sun spots, hyper pigmentation and dullness whereas BHA’s are suitable for oily, acne prone skin that suffers from breakouts. BHA also helps reduce redness and inflammation and fight bacteria making it a multi tasking ingredient. AHA also come with an added benefit where they help skin adhere moisture better and for longer. This can be a problem in mature skin types when skin doesn’t naturally act as a moisture magnet. In this situation, AHA exfoliators can help with evening out skin, reinstating that youthful glow as well as keeping skin moist. How often you need to exfoliate with these non abrasive exfoliators is up to you. See how your skin reacts to frequent and non-frequent exfoliation. It you have sensitive and acne prone skin, then slow it down a notch. On the other hand, if you suffer from uneven skin tone and pigmentation, then you can be a little more enthusiastic with your exfoliating. On the whole, exfoliators for dry and oily skin are different and serve a distinctly different purpose. Choose one that will actually help solve deeper skin problems rather than simply buff and polish the top layer of your skin.